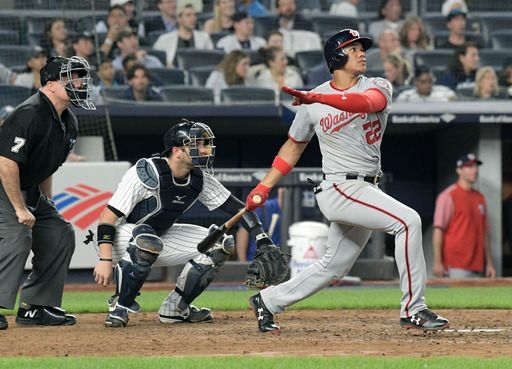 Juan Soto had a career night as he bashed two home runs and walked, making him the first teenager to do that in a game at Yankee Stadium. The game went back and forth, but the Nationals bullpen was able to keep the Yankees bats cool enough to secure the win and secure a split. The Yankees had no shortage of long balls on Wednesday as Greg Bird and Gleyber Torres both went deep, but they were only solo shots so the damage was not as great as it could have been. The rest of the Yankees’ offense came from an Aaron Judge sac-fly and a Giancarlo Stanton RBI single. All of this offense came off of the Nationals’ starter Erick Fedde. The Yankees will begin a four-game series with the Rays on Thursday as Blake Snell will face off against Domingo German at Yankee Stadium. The first pitch is scheduled for 7:05 PM ET.